Seth B. Zirkle is a Member in the Banking industry group, focusing primarily on real estate and business transactions. He practices out of the Firm’s office in Evansville, Indiana. Seth has broad experience representing a wide range of clients in all areas related to the acquisition, development, leasing, financing, and sale of commercial and residential real estate. As a licensed title agent, Seth regularly conducts title examinations and works with agency counsel to resolve puzzling underwriting issues. 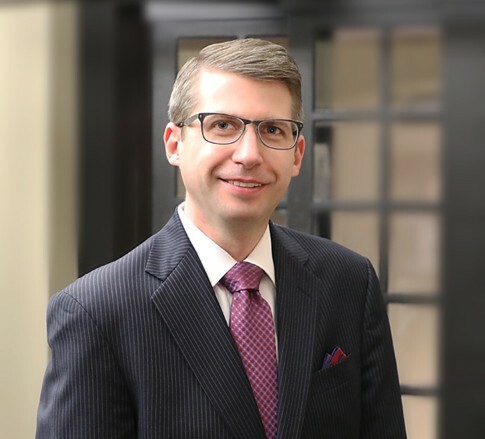 In addition to his real estate practice, Seth routinely counsels clients on creative, and yet practical, solutions to business issues, including entity formation, reorganization, and asset purchase or sale transactions. The favorite part of Seth's practice is working collaboratively to reach unique solutions for each of his clients, navigating perplexing issues to garner the best outcome. Seth's experience and passion for his practice is built on a decade of representing clients as diverse as Midwest property managers, Mid-South affordable housing developers, the U.S. General Services Administration, public housing authorities, and closely-held family businesses. An Indiana native, Seth returned to the River City after having practiced in the greater Washington, D.C., area and Nashville, Tennessee, where he focused on commercial land use and business matters. When he is not providing clients with legal advice and direction, Seth enjoys reading books on history and theology and spending time with his daughter and wife, an educator and professional violinist whom he accompanies on the piano from time to time. Board of Directors, Youth First, Inc.